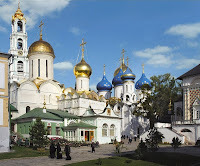 Russian Video: The Holy Trinity-St. Sergius Lavra! 3) Official site of The Holy Trinity-St. Sergius Lavra. This entry was posted in Place to visit, Religion on August 17, 2009 by admin.